Money Q&A: Will I have to pay more for my old age care? 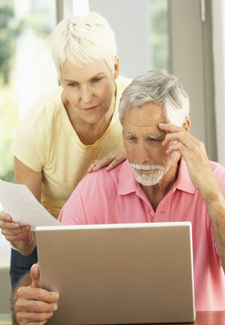 Q: How much will I have to pay towards my old age care? A: Earlier this month, the government announced that it plans to limit the amount we will all have to pay towards our health and social care as we get older. From 2017, adult social care costs in England will be capped at £75,000 per person and the means-test for the level of wealth that the elderly will have to pay for all their care will rise to £123,000 – a huge increase on the current £23,500 level. This means that people entering a care home with less than £123,000 – including the value of their house – won’t have to pay the full cost of their care. People will, however, have to pay ‘hotel’ costs for their board and lodging, which will be limited to a £12,500 every year. The cap on care costs means that all individual spending on care costs will be ‘metered’, and once the meter reaches £75,000, the state will pay care costs for the rest of an individual’s life. However only the care element of residential home costs will count towards the lifetime cap. ‘Hotel’ costs, such as food and heating, will always be paid by the individual. Also, despite the huge increase in the means-test for care help, many argue that due to rising house prices, the vast majority of the elderly going into care homes will be judged to be too wealthy for state help and will still have to sell their homes to fund their care. For more information on these proposed changes, visit the Age UK website. HAVE YOUR SAY! Do you think the Government has set the cap too high? Will you still have to sell your home to pay for your care? If so, make sure you add a comment in the box below. Plus, if you’ve got a great money saving tip, send it to our money expert for a chance to win £25!